From 9:25 am on Saturday 2nd September 2017 Planet Jupiter – Guru will be transiting and leaving Virgo sign (rashi) and transiting to Tula – Libra sign (rashi). Effects of this transit will be different for Sun signs and Moon signs. 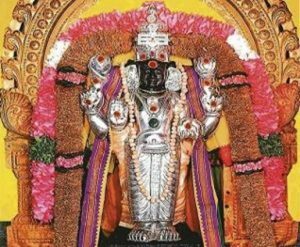 On this auspicious occasion Archana, Homam, Abishekam, Japam [16,000 times for Guru Bhagawan] along with Sankalpam and Pujas will be performed Ekadasai Rudram to Lord Siva at the THITTAI VASISHTESHWARAR Temple, near Thanjavur, Tamil Nadu, on 4 September 2017. There will also be one Guru Transit Puja at Thiruchendur temple on Tuesday 5 September 2017.